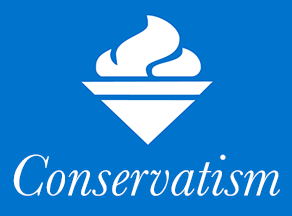 Conservatism is in my blood: my mother is a conservative of the Joe Clark (for Canadian PM) variety, and all my ancestors on her side of the family were loyalists; yet I came to be a conservative my own way. My dominant passion and interest has always been history, especially modern British history. It was through reading the works of the greatest English historian and Britain’s greatest prime minister, Sir Winston Churchill, and the writings of (in my opinion) Britain’s greatest writer and political thinker, Edmund Burke, that I actually began thinking of myself as a conservative. I hate revolutions: In all revolutions there has been unnecessary bloodshed , millions of lives lost due to some ideological intellectual’s fantasies of an egalitarian dream world. History furnishes many examples, like the French, Russia and Chinese revolutions. To me, ideas should never influence society to such a superfluous degree. To me such odious shedding of blood for an ideal never obtained is evidently useless; conservatism is the antidote to destructive revolutionary fervour. Liberty is precious: Liberty is the most precious of our values. Especially today, where the state grows in power and authority, sapping like a parasite the economic willpower of individuals. As it grows, it tells the individual what to do, how to think, what to say and how to act. Liberty is more precious now than at any other time. Conservatives should, to the utmost of their abilities, preserve what liberty we have left and, hopefully, expand it and as a consequence, limit the size and influence of the state. The west is best: Marxist and ‘liberal’ historians, professors, and commentators are always ready to bash western culture as ‘racist’, ‘fascist’, etc. I think it is important for conservatives to oppose such slanders. For example, North Korea is probably the most fascist nation in the world. The conservative realised such, yet no Marxist can. It was the west which first believed in individual rights and, as a natural consequence, abolished slavery, a practice as old as humanity itself. Science and the arts flourished in Western society at a rate and greatness not matched elsewhere. What other society, in the span of four centuries, produced genius’ such as Newton, Kepler and Einstein in science; Spenser, Shakespeare, Gibbon and Macaulay in literature; and Kant, Hume, Leibniz, and Kierkegaard in philosophy? None that I know of, before or since. Winston Churchill: Yes, the man who looked like a baby and at times acted like one. There is a reason why he was both voted the greatest Englishmen ever born and Britain’s greatest prime minister, for where would we be without him? In a new dark age, where the great feats of Western civilization would be snuffed out by the most superfluously redundant pseudo-science of Marxist-Fascist hyperbole. It was his mystical conceptions of monarchy and his mythical conceptions of Britain’s history and her greatest men and women that led me to ground my political beliefs upon history and not ideas. ‘’A man full of warm, speculative benevolence may wish his society otherwise constituted than he finds it, but a good patriot and a true politician always considers how he shall make the most of the existing materials of his country. A disposition to preserve and an ability to improve, taken together, would be my standard of a statesman. Everything else is vulgar in the conception, perilous in the execution’’. 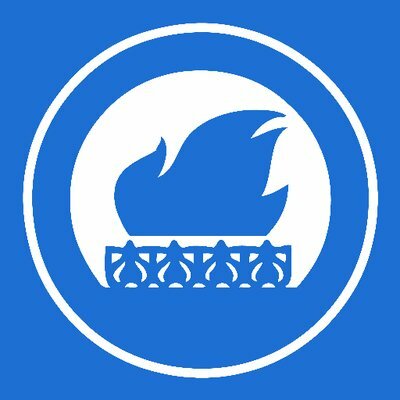 This article is part of our ongoing ‘Why I am a Conservative’ series, in which supporters of CfL talk about their beliefs and values. If you would like to take part please email con4libblog@gmail.com.